So here is a pop quiz scenario for my pastor friends. You wake up with a cheerful disposition, only to be confronted by the latest church crisis. Your church runs a food bank for poor single mothers, dependent widows and neglected children. As you check your morning emails, you see a heading tagged urgent. Your cheerful disposition fades away as you confront the details. It seems a conflict is brewing in your food bank. Some of the people you’ve been helping claim they have been refused food because of their ethnicity. A group of widows are so upset, they’ve formed a group to protest the church’s prejudicial treatment. To make matters worse, another group has formed to protest against the protestors. In reflex fashion, you shoot off an email promising to “be there as soon as possible!” It’s at this moment you remember the pre-crisis schedule for the day. Today was the day you were supposed to hang out with your good friend and fellow pastor Tim. After weeks of hit and miss scheduling, Tim and you had finally agreed upon a time that worked for both your schedules. It’s been months since you’ve been able to really talk and pray together. You just can’t seem to find the time. So that’s the scenario and here’s the question. . . As a pastor, what would your second email say? Be honest, don’t over think it. What would you do next? Who and what would get your time? What would be the task of the day? Since this is a hypothetical quiz, there are no wrong answers. But the answers and the questions point to one of the common struggles of ministry. How must I invest my life energy? I have a limited amount of energy and time in me. If so, what should be the pattern and path of the day? When push comes to shove, who or what gets my best effort? To answer these questions, I’ve frequently gone back to Acts 6:1-4. In response to a New Testament church crisis, the Apostles say and do something that at first glance seems a bit arrogant. The Scripture tells us a dispute had erupted between Hellenist and Hebrew widows concerning the distribution of food. Particularly, the Hellenists believed they were being neglected in the distribution of daily helps. The Apostles’ response to this conflict is somewhat surprising. The audacity of this statement does not go unnoticed to the modern pastor or preacher. The Apostles believed they were most effective when released to pray and preach. However, they did not see the work of preaching and prayer as a solitary endeavor. Rather, they saw power in “the twelve” gathering to pray, read the word, and encourage proclamation. There was power in a gathered community of like minded leaders with the same calling. I’m going to show my hand. . . I’m going to be brutally honest with my unsettled convictions concerning the role of pastor. I don’t know if I’m right in my observations, but I do believe we need to seriously dialogue about the issue. 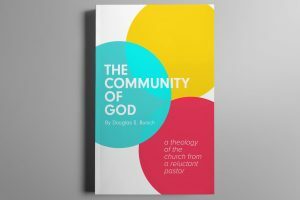 For the most part, the American church is structured like “little bodies of Christ.” Each individual church sees itself or acts in practice as a self-contained “little body of Christ.” We preach messages about being the body or the hands and feet of Christ. But we often limit the extension of those messages to the expressions of our individual churches. In other words, the Apostles were convinced they had a unique authority as a gathered body of praying leaders. They recognized they were supposed to contend for the gathering! The “twelve” were called to preach and pray. Their shared prayer was an engine that motivated and empowered their preaching. Even a relatively important ministry program crisis was not to dissuade them from gathering to strengthen each other through prayer. I often ask myself this question. How is this Scripture fulfilled today? Is there still a place where the Apostles gather to pray? Is the priority of leaders gathering seen as an obligation, or a necessity for the “Body of Christ” to function as Christ’s actual body. Sadly, many pastors feel spending time with other pastors is a luxury or a left over endeavor to be fit into one’s schedule once the important ministry is done. The priorities are set in stone. Neglected widows come first, individual church business comes second, while praying with fellow leaders trails somewhere in the distance. Is all church work important? Yes! Should all church work be of the same importance to every leader? Absolutely not! In fact, some of our leaders, pastors, and Apostles need to come away from the neglected widows and actually pursue a room were they can be built up and strengthened by fellow leaders. I personally don’t think it is funny or odd that pastors have such a difficult time clearing out their schedule to pray together. I personally think it is a demonic foothold, keeping pastors from being refreshed and limiting the effectiveness of Christ’s body on earth. If I offend in this observation, it is only to give you permission to come away from the crisis and spend a day with a fellow friend in ministry. Good insight. Challenging to the status quo of the American church. Thanks for sharing Doug! Biblical. I find such strength in gathering with fellow leaders, who have the same burden and weight of ministry. I’ve often felt guilty when I clear my schedule to spend time with other pastors. At times it felt like I was neglecting my duties as a pastor. The struggle is that whenever I leave the ministry of my flock to spend time with another cleric, I feel guilty, but inevitably I come away from the experience refreshed! So, even though I feel guilty, I still do it, because of the refreshing I always feel after a spiritual time spent with other pastors. But now, I think my guilt will lessen. The word confirms what the Spirit has been telling me all along- I need to spend time with other pastors. Thank you for this message. I will continue to mediate on it. Most definitely I will continue to clear my schedule to spend time with other pastors, and not feel guilty for it. Yah, I totally understand that there is time we have to spend helping with church conflict and issues. I just want pastors to know that it is not selfish to contend for time with other leaders. It is alright to build ourselves up in the faith. One beautiful detail of the biblical account that could be amplified is how the leaders handled the need. They did not leave a vacuum, but with deliberate purpose chose others “of good reputation, full of the spirit and of wisdom” to fulfill this task. The account speaks of the tension between the two goals, and the great importance given to both tasks. Only one, though, was to be personally carried out by the leaders. How beautiful it is when we look into God’s word together and measure ourselves to its depths. I certainly agree the needs of the widow should be met as well. In fact, we find the deacons doing what the Apostles were doing. Stephen preaches a message for the ages. I was just trying to point out how important it was for the Apostles to pray and preach together. Pastors sometimes need permission to do this without feeling guilty or pressured that they should be doing more important things. Thanks for the thoughts! I would not want to detract at all from this encouragement for pastors to come together. great piece here Doug. 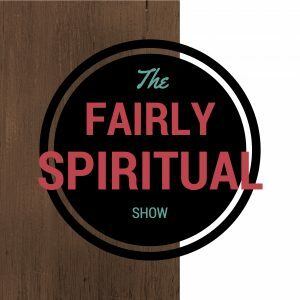 and great new look with the fairlyspiritual site. in regard to pitting “waiting tables” vs “devoting time to prayer and word”, I must admit there are times when I feel I’m failing at both—neither caring for the widows, orphans or neglected (nor) spoiling my schedule with times of refreshing with fellow pastors. like so many others postings above, the latter presents a peace that has passed me through many a misunderstandings.